Here's Another Pitch Perfect 2 Trailer! You HAVE to see Fat Amy's aerial scene. 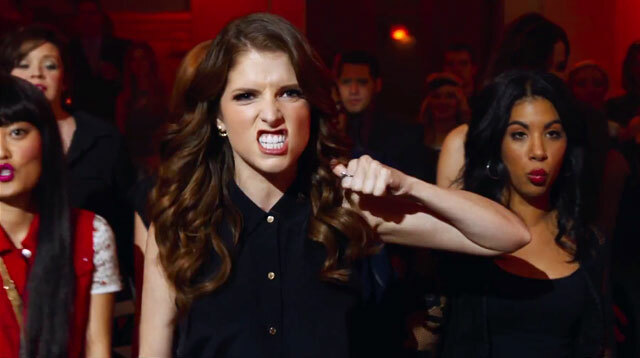 The new Pitch Perfect 2 trailer is here and it is solid! From the looks of it, we’ll be hearing songs from Miley Cyrus and Beyonce in the second installment of the film. And how cool is Rebel Wilson's aerial gymnastics scene?! We are totally loving the new movie poster, too, which Rebel and Brittany Snow posted on their their Instagram accounts. The film comes out in May, so until then, do enjoy these trailers that have come out to tease our aca-senses.